Discover The City By The Bay Like A Local... On Foot! Our four walking adventures take you up and through some of the least explored areas and historic landmarks of San Francisco. Ascend majestic garden-lined staircases to some of the City's most beautiful vistas and unique neighborhoods. Experience the vibrant culture and rich history of each neighborhood like the locals do... on foot! Beginning and ending at the Friendship Gate of Chinatown, we travel through the colorful back alleys of the oldest and largest Chinatown in the world. After a cruise through the Castro and it's impeccably maintained Victorian homes, we wander through a small neighborhood called Liberty Hill and down to the Mission District. This four-mile walk begins and ends at the Ferry Building and explores the history of the old waterfront on Yerba Buena Cove, the Barbary Coast, and Telegraph Hill. Officially called Eureka Valley, this is where Market Street stopped and cows grazed. A cable car line officially linked it with downtown in 1887 and Irish immigrants built a church and a small community. A picture I took on the tour a few years ago. Ryan is by far the best tour guide we have ever met. He is incredibly knowledgeable and armed with amusing anecdotes and curious facts about the city...you will be taken to some unique spots that are completely off the beaten path and offer the most breathtaking views of the city! 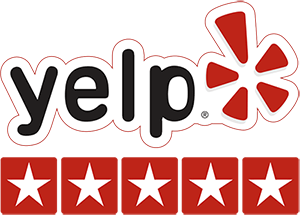 Read More Reviews on Yelp! Sign up for our email list for info on upcoming San Francisco events, activities, and new tours. you won't be disappointed. Wow! 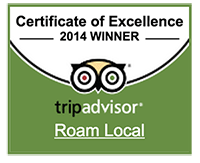 What a spectacular tour given by an amazing guide!... I learned all sorts of fun new facts. I didn't want it to end. 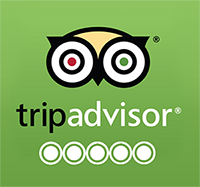 Read More Reviews on Trip Advisor!